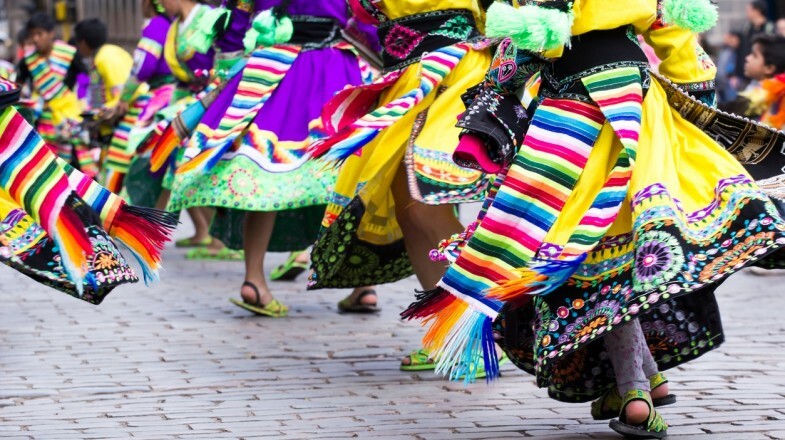 Peru is one of the most compelling destinations in South America. 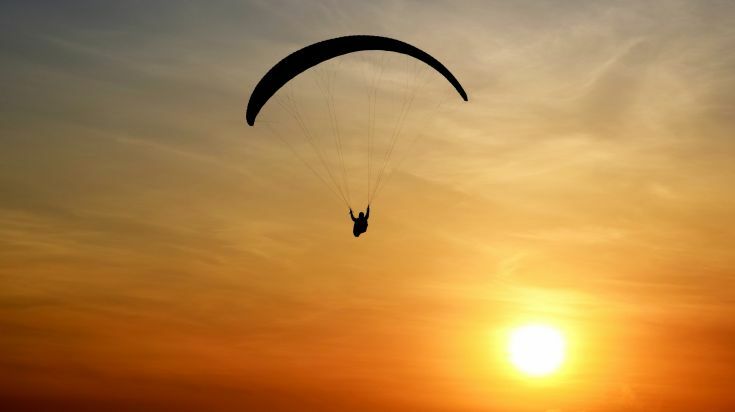 Not only is it among the safest and easiest countries in the region for travel, but it is also blessed with a diverse range of attractions to appeal to all tastes. 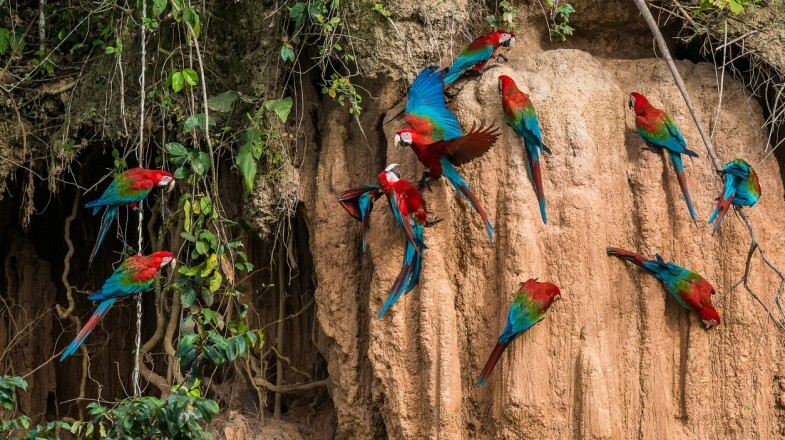 From ancient archaeological ruins to world-class hiking opportunities and dense jungles teeming with wildlife to sophisticated city-dining, Peru truly has something for everyone. 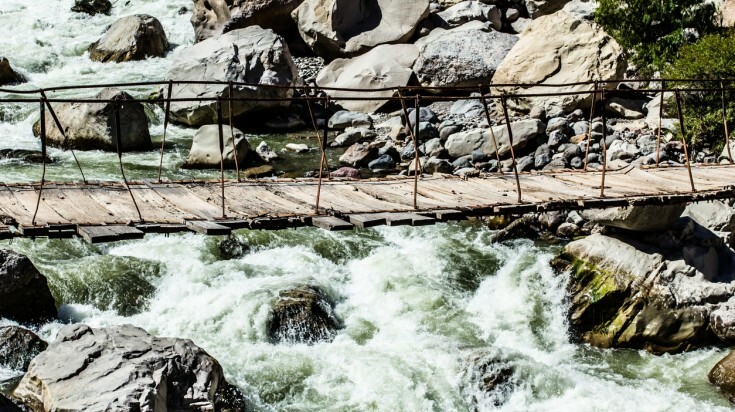 Here are the 15 best attractions in Peru that should not be missed, in no particular order. 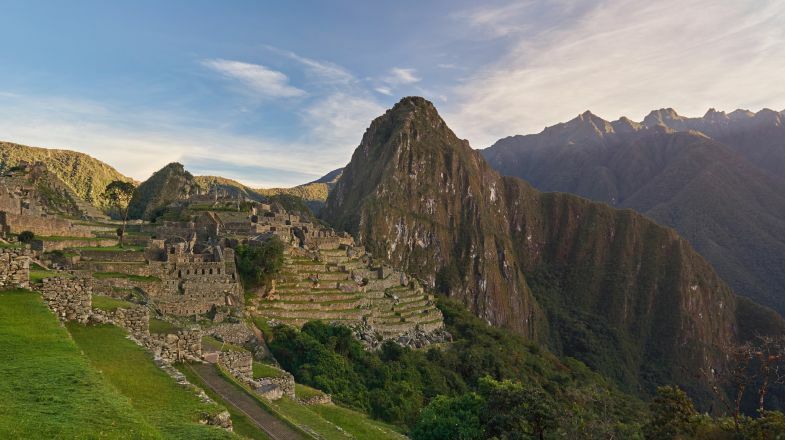 The unrivalled premier Peru attraction is Machu Picchu. The world-famous ruins and trekking destination need no introduction and for many, they are the main reason to visit the country. 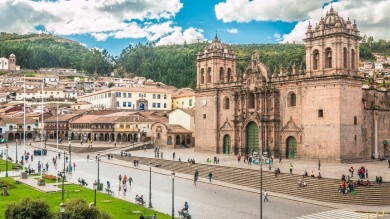 No trip to Peru would be complete without seeing the enigmatic and ancient mountain-top city. Despite the crowds, very few leave disappointed. There are two hiking routes around Huayna Picchu, a long and a short one. 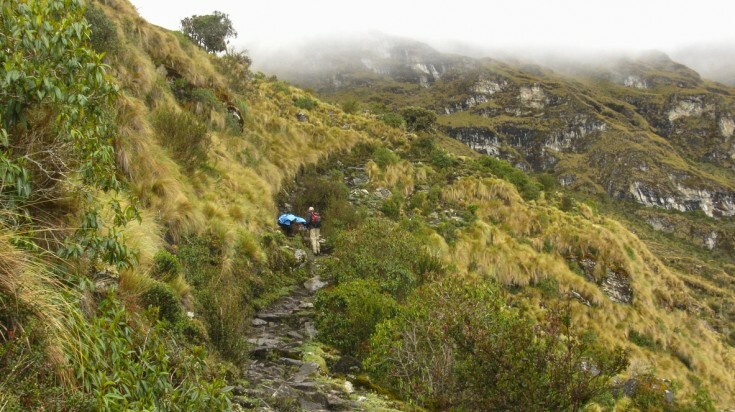 We recommend taking the long trail which will provide astounding views pf Machu Picchu and rarely visited Inca ruins. Entrance fees*: Basic entrance ticket is around USD 45 excluding extra service or agent fees. Climbing Huayna Picchu is extra. Tip: Visitors to Machu Picchu are limited to only 2,500 per day and visitors to Huayna Picchu are 400 only per day. Book well in advance to avoid disappointment. 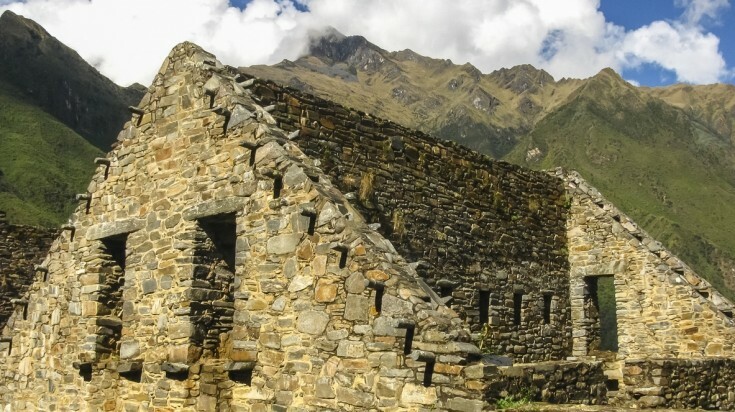 Lesser known than Machu Picchu and much more seldom seen are "the other Machu Picchu ruins", which is the Choquequirao Ruins. 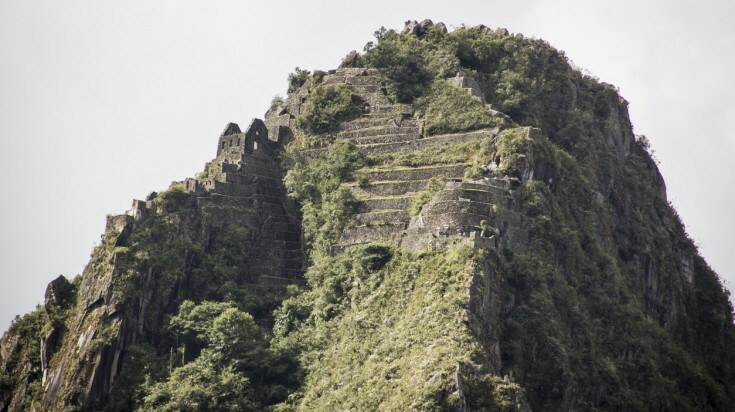 These are perhaps all the more intriguing because the ruins have not undergone the extensive excavations or restoration work as compared to Machu Picchu, and offer a much more authentic experience. Visiting Choquequirao requires a four-day trek and you are unlikely to see many other tourists anywhere along the trail. 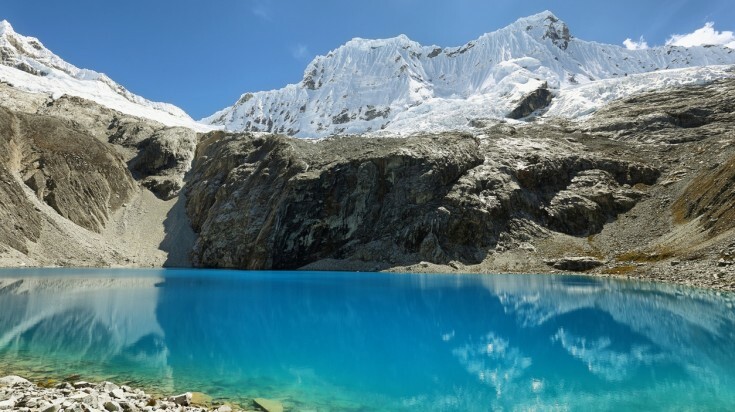 Peru is one of the top trekking destinations and the Cordillera Blanca is a wonderland for outdoor enthusiasts. 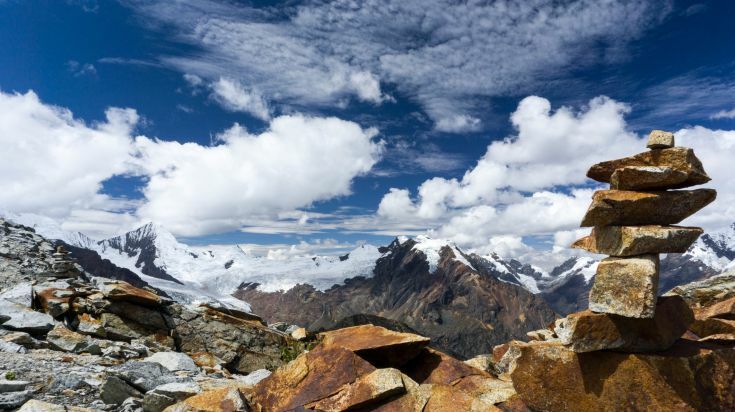 The most popular route is the Santa Cruz trek, a four-day walk through the spectacular high Andes that is nevertheless accessible to anyone with a reasonable level of fitness. 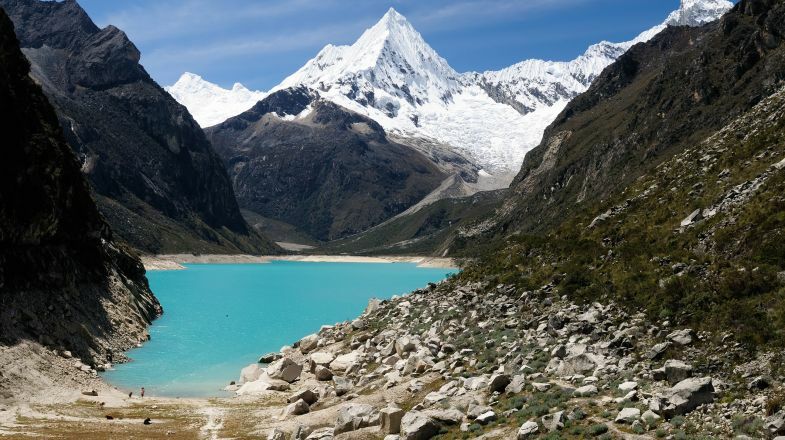 Popular day-hikes include walks to the stunning Laguna 69 and the equally attractive Laguna Churup. Entrance fees*: As of January 2018, entrance Fees to the Huascarán National Park are 30 soles (USD 10) for one day, 60 soles (USD 18) for 2–3 days, and 150 (USD 45) soles for 4+ days. One of the more exquisite and enigmatic sights in Peru is the mysterious Nazca Lines. These giant drawings of people, animals and other geometric shapes, some up to 100m in length, were carved into the desert around 2000 years ago. Their true purpose remains obscure; some think they were a way of communicating with the gods, others believe they had an astronomical function, while others still subscribe to more outlandish theories. Take a flight to see them from above and decide for yourself. Entrance fees: No entrances fees exactly, but other items will cut into your budget. 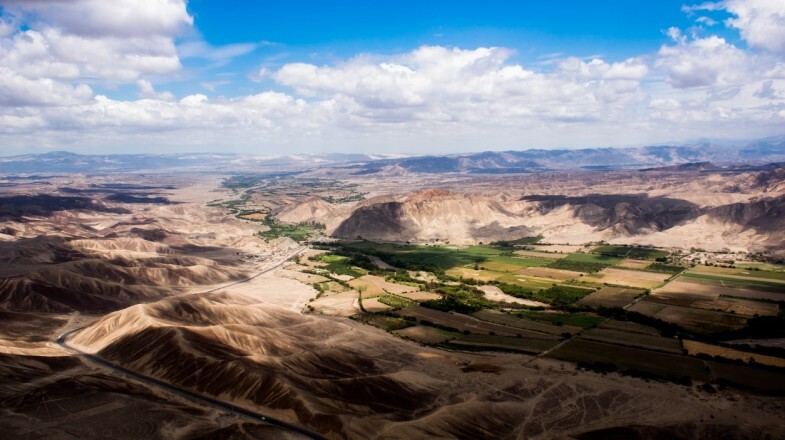 Getting to the area can be expensive, and then expect to pay around USD 50 – 100 for a half-hour flight over the Nazca Lines, or more for longer time. For convenience, consider a tour that includes the lines. 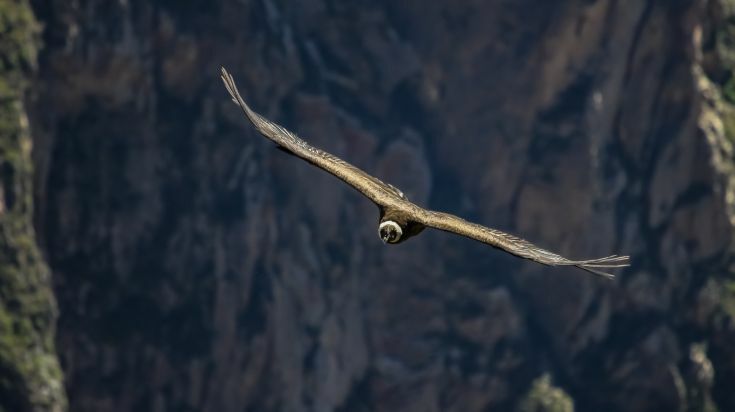 In recent years, travellers looking for new destinations off the beaten track have begun discovering the remote Colca Canyon. 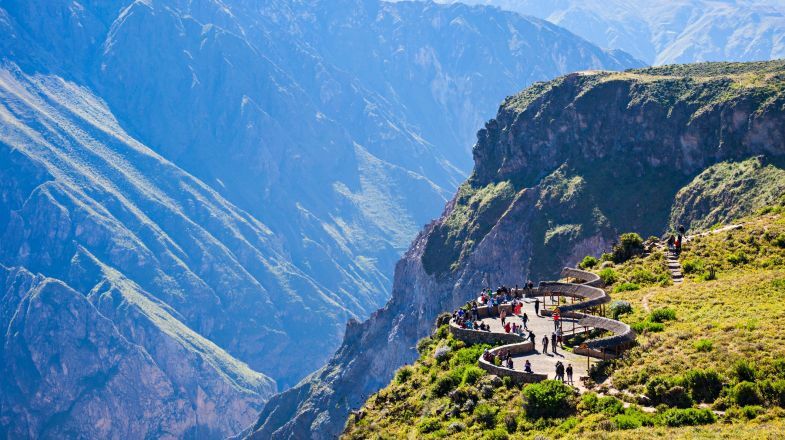 Access is from Arequipa, Peru’s second largest city, and the canyon offers many activities such as hikes, hot springs and the chance to catch sight of majestic condors soaring overhead. All this in an area that is still largely unaffected by tourism – although it is now becoming much more popular. 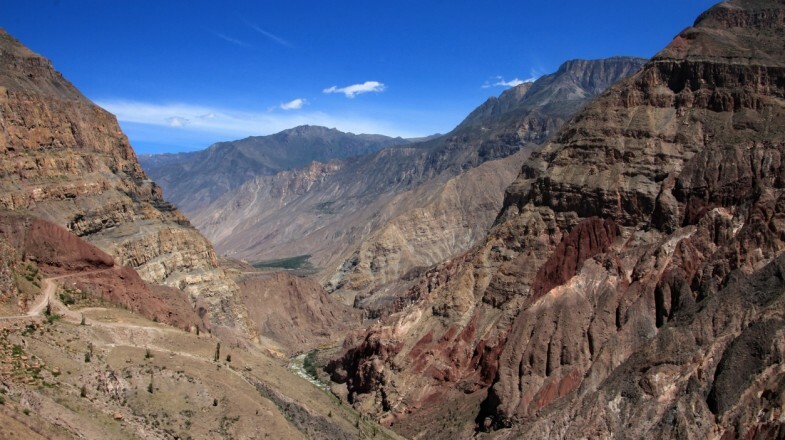 Go for the 2-day Colca Canyon trek to see the best of what the Canyon offers. 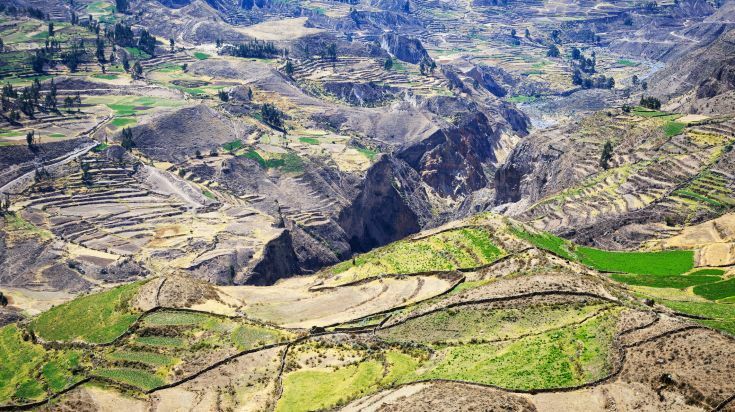 Farther north from the Colca Canyon lies the remote Cotahuasi Canyon, a massive canyon destination for the truly adventurous. It is a stunning spot that offers a taste of timeless indigenous cultures and village life that have changed little in centuries. 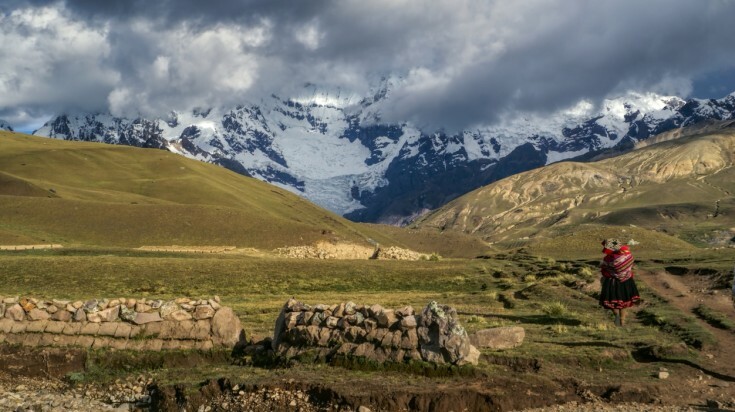 Consider going for a 4 day trek to perhaps one of the best Peru attractions if you are a keen explorer or have a little more time to spare, or take a tour for a bit more convenience. A highlight is that you will barely see any other tourists. 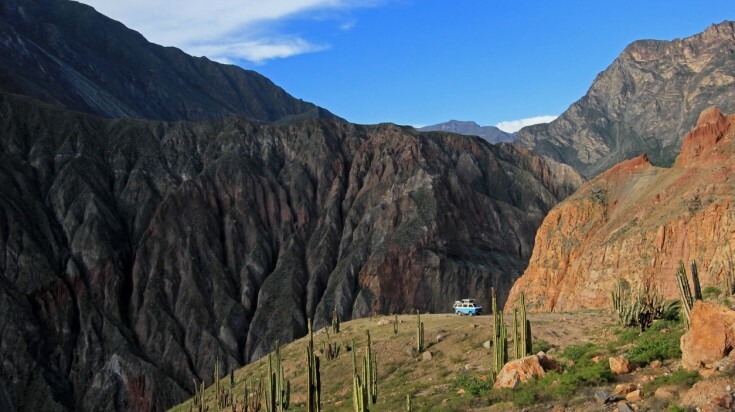 An easy day-trip from Cusco (only about 33 km, or an hour drive) takes you to the small town of Pisac. 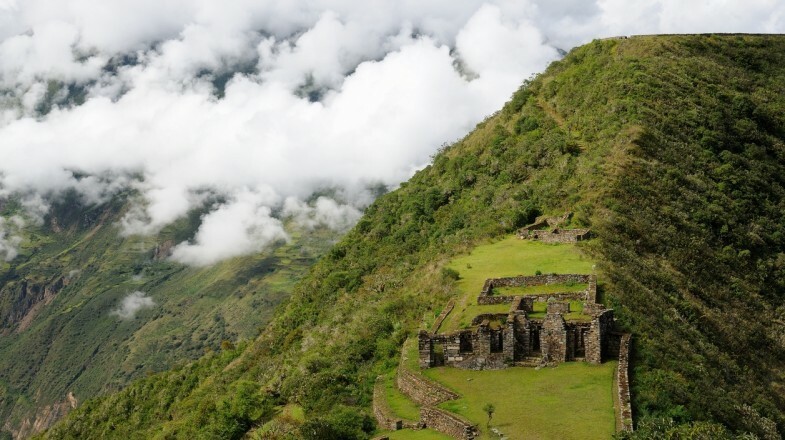 There you will find several groups of picturesque Inca ruins in the surrounding hills as well as highly photogenic Inca agricultural terraces that are still in use to this day. The ruins are popular and highly-rated, but much quieter than Machu Picchu. The town also plays host to a bustling market on Tuesdays, Thursdays, and Sundays. Entrance fees*: Entrance to the ruins is included in the Cusco boleto integra ticket, which costs 130 soles (USD 40). Best time to visit: Can be visited year-round. April – October is the dry season. One of the country’s more macabre attractions, but no less fasctinating. Beneath the Museo de la Iglesia y Convento San Francisco in Lima lies an extensive network of catacombs dating back to when the city’s cemeteries were located beneath churches. It makes for a fascinating visit – but exploration of these subterranean tunnels packed with tombs is not for the faint of heart or those prone to claustrophobia. 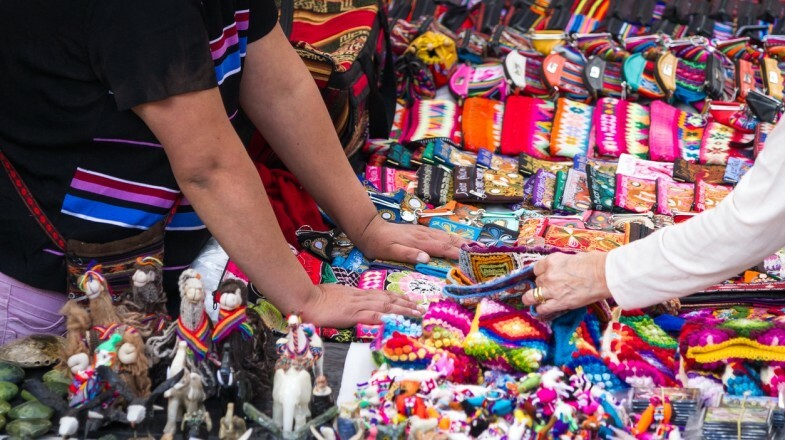 There are also plenty of other interesting things to do in Lima to add to your explorations! 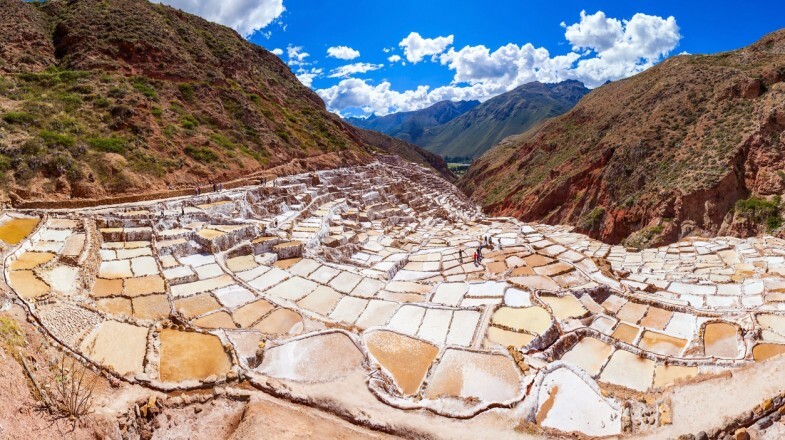 The small town of Maras, situated around 40 km from Cusco, is famed for its collection of salt pans that have been in use since pre-Inca times. The salt from the ponds is harvested by the local community according to a system of cooperation that has been in use since the arrival of the Incas, if not before. The salt pans are easy to visit from Cusco and this ancient feat of engineering makes for a worthwhile day-trip. 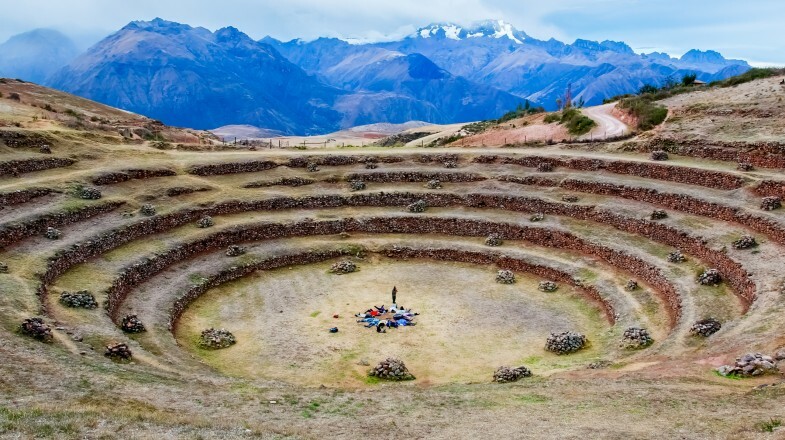 The whole country is dotted with Inca ruins but one of the most unique is Moray, now thought to have been an agricultural laboratory set up by the Incas. 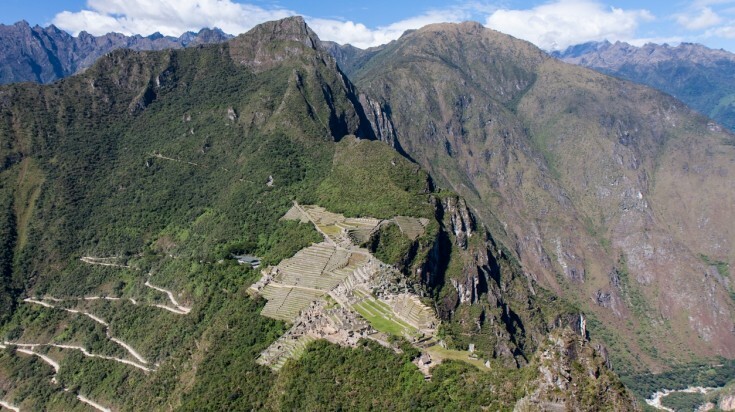 This site demonstrates the levels of sophistication of Inca engineering techniques as they experimented with growing crops usually cultivated at lower altitudes – definitely a must-see Peru attraction! Entrance Fees*: Included in the Cusco boleto integral ticket, which costs 130 soles (USD 40). One of the world’s most important biodiversity hotspots containing still-uncontacted tribes, this protected area is so important that most of it is completely off-limits to tourists. 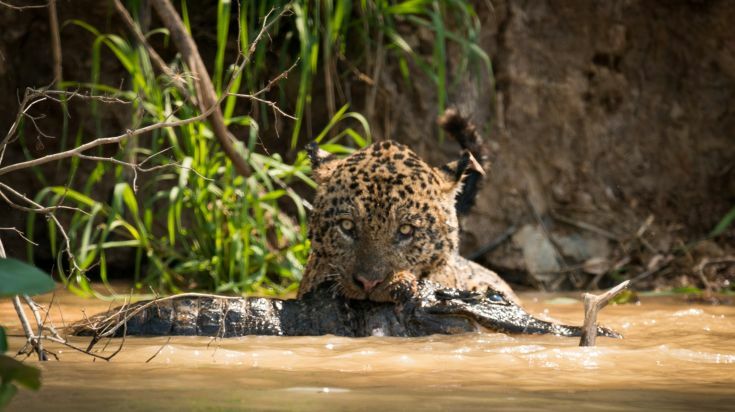 Fortunately, a large area of forest is still accessible, and those making their way there can look forward to a true jungle adventure filled with camping, walking, exploring the natural sights and spotting Peru’s wildlife. 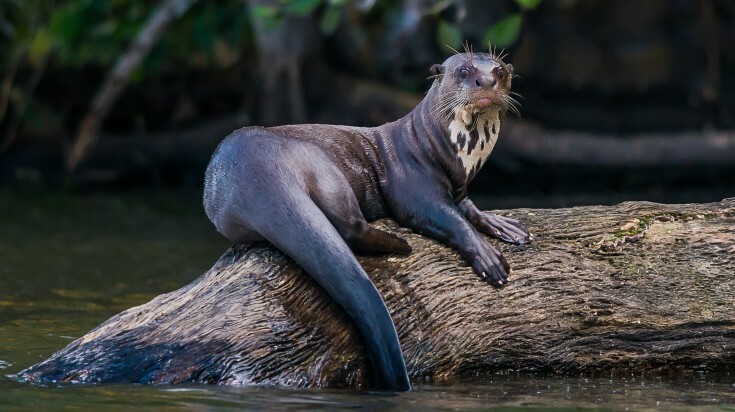 Giant Otter spotted at Manu National Park. Entrance fees*: Entrance to the cultural zone is S10 (USD 3); for the reserved zone, you must travel with one of the eight official agencies who will offer a price for the whole tour. The Rainbow Mountains have not been on the tourist circuit for long, but it has fast become an essential stop. 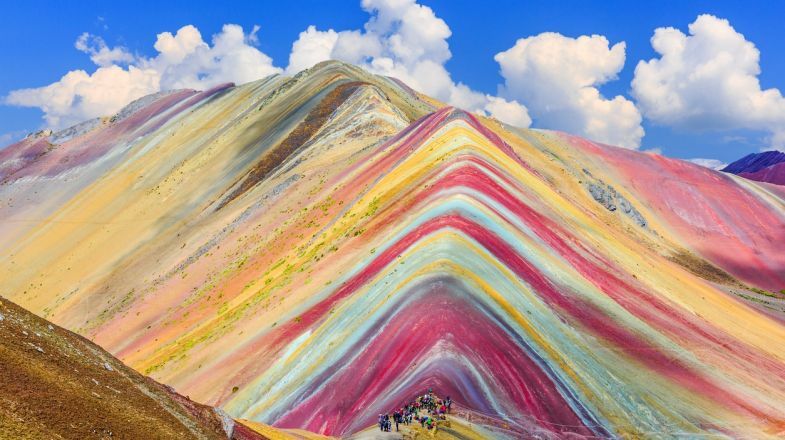 This strange geological formation can be seen on a day-trip from Cusco and involves a tough hike up to 5,020 m for the best views of the multicoloured mountain. The Rainbow Mountains is an essential stop on the Ausangate trek as well. Although it is believed the area was occupied from around 900 CE, the construction of this massive megalithic citadel probably began in the 13th century. 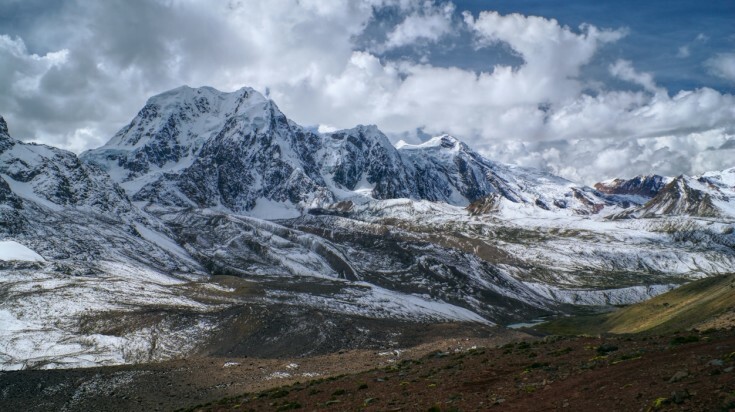 Sacsaywamán is one of the most impressive sights in and around Cusco and can be reached on foot from Cusco. 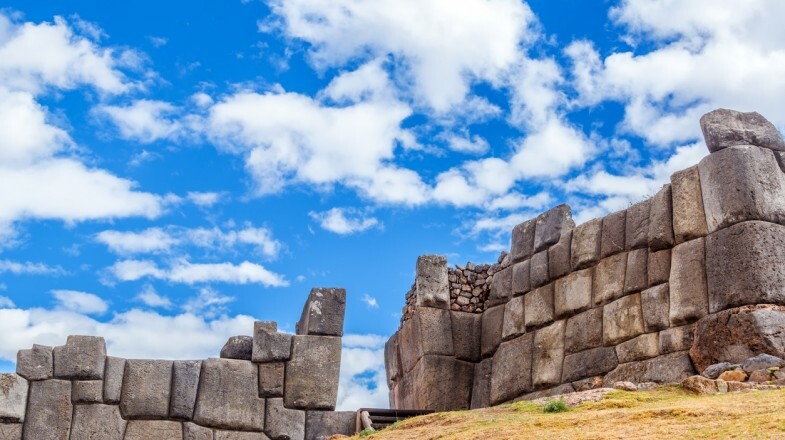 After the tough but rewarding 2 km hike up to the site, you will be left to marvel at just how the Incas managed to haul the giant stones there to erect these impressive defences. 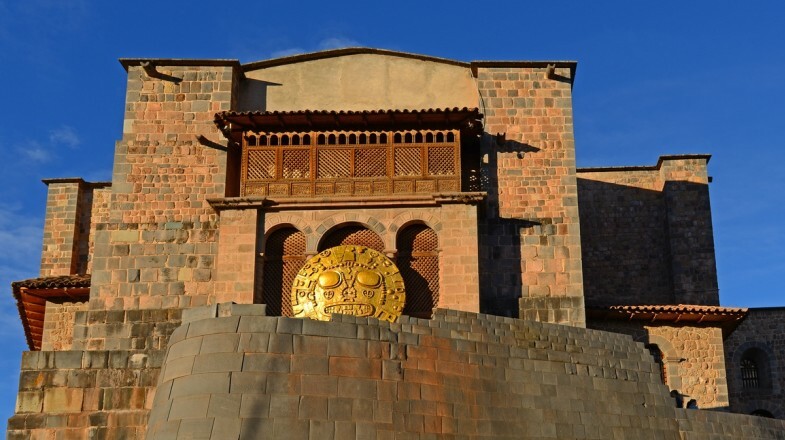 One of the most interesting things to do in Cusco is visiting the Sun Temple, once the most important temple in the Incan empire. 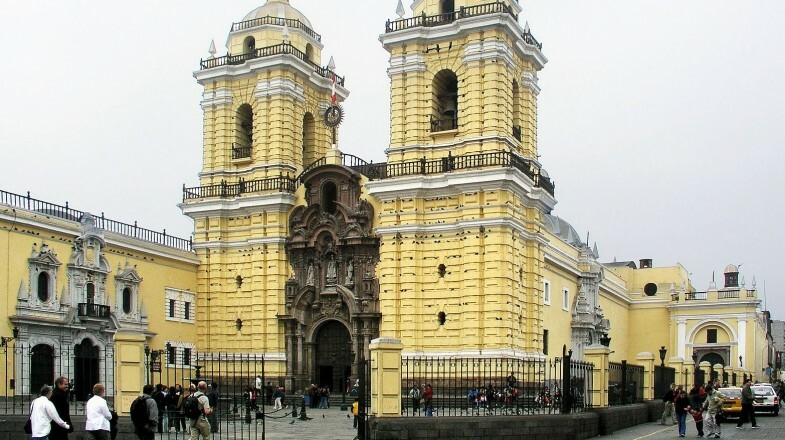 Qorikancha, meaning ‘golden enclosure’, was practically destroyed by Spanish conquistadors in the 16th century and the Santo Domingo church was built in its place. Before its destruction, the temple would have been a stunning sight to behold, with walls covered in gold sheets and courtyards filled with gold and silver statues. 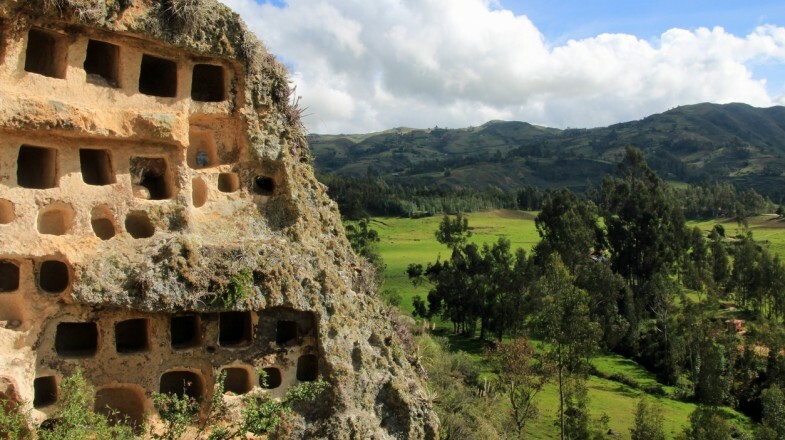 In the cloud forests of northern Peru lies the city of Chachapoyas, the gateway to the eponymous region. A distinct and thriving culture existed here well before the arrival of the Incas and the most significant site is Kuélap, an imposing fortress with massive stone walls up to 20 m high. This hugely impressive structure ranks as one of the most underrated of the Peru attractions and should feature on any list of what to see in Peru. 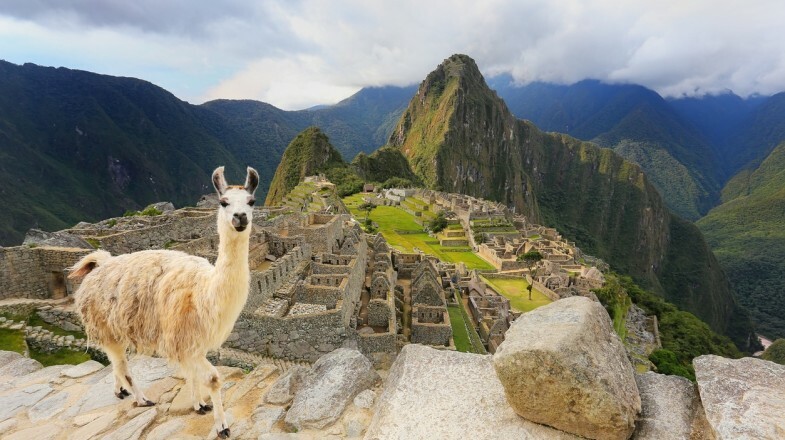 With so many amazing things to do in Peru, it is no wonder that this country is always at the top of many bucket lists. A visit to this enchanting country will bring you closer to nature, archeological wonders and historical facts — wouldn't that make for an awesome holiday? 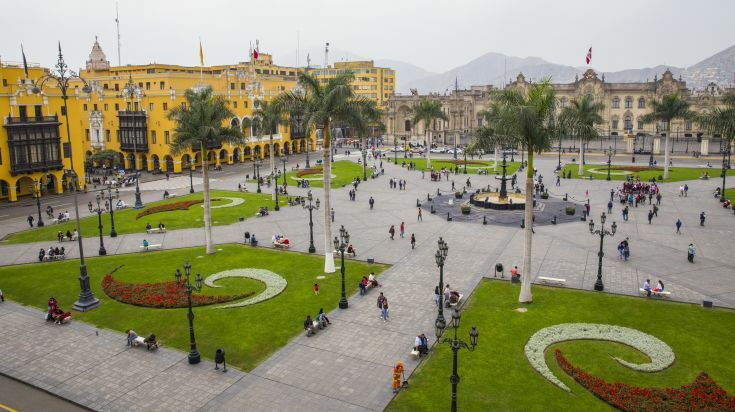 If you are already in Lima then check out the best ways to travel from Lima to Cusco, Cusco to Puerto Maldonado that is the gateway to Manu National Park, Lima to Machu Picchu and Lima to Huaraz that opens to the gorgeous Cordillera Blanca range in North Peru.